"The San Paolo is an unreconstructed marvel of a stadium, simultaneously imposing and yet looking as if it could fall down under a stiff breeze." It may have been all but a foregone conclusion, but it was most welcome nonetheless. Napoli's 3-1 stroll at Chievo on Sunday, which relegated the home side, should be little more than a minor footnote in the Partenopei's season and, in many other similar versions of the scenario, would have been played out with a near-reserve team. At this precise moment, however, Carlo Ancelotti didn't feel he had the luxury of that option. 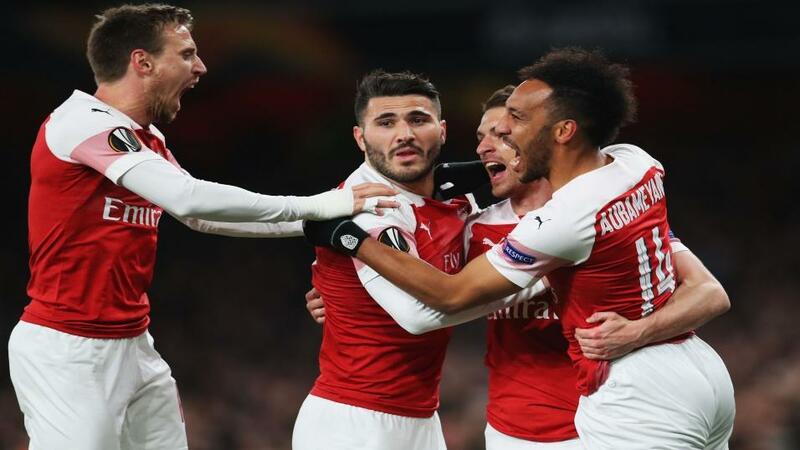 He made just four changes from Thursday's Europa League quarter-final first leg defeat at Arsenal, but they were largely cosmetic. The front pair of Lorenzo Insigne and Dries Mertens kept their places as did Fabián Ruíz and José Callejón, with Arek Milik thrown in for a touch of extra firepower. Some may argue it was a matter of pride, with the win in Verona making Juventus make another week for the confirmation of their eighth straight scudetto. It felt like Ancelotti, however, wanted his side to play themselves back into form after a moribund mini-run, without a win in three and lacking their typical inspiration in each one of those games. Credit for the nadir of that sequence, firstly, must be paid where it is due. Unai Emery's men deserve to be the favourites to progress to the semi-finals - [1.28], compared to Napoli's [4.3] - after a near-impeccable first leg display. They were dynamic in the first half before morphing to measured and streetwise in the second. The urbane Emery will know, however, exactly what is waiting for Arsenal on Thursday. The San Paolo is an unreconstructed marvel of a stadium, simultaneously imposing and yet looking as if it could fall down under a stiff breeze. Italia '90 stickers still adorn lampposts and railings. The noise inside is from a different era too, and the locals will pack the stands early, as they tend to for the biggest European games, creating a bear pit for The Gunners to step into. This is a night for cool heads, and the pressure that the visitors will be under is reflected in the odds, with Napoli [1.77] to win on the night, with Arsenal out at [5.0]. Hertfordshire might not quite be Campania, but Emery will be delighted with Monday night's win at Watford, only a third victory on the road since December. Fixing that underwhelming road form will be a key to the rest of Arsenal's season at home and abroad and although they could go through to the semi-finals while losing on the night in Naples, Emery and company would prefer something less emotionally taxing. It bodes well for Arsenal that Napoli have only kept one clean sheet in their last four at San Paolo, despite the presence of the outstanding Kalidou Koulibaly, and the pace in the team via Pierre-Emerick Aubameyang, Alexandre Lacazette and (maybe) Henrikh Mkhitaryan is useful. In early season it looked as if Ancelotti had added a layer of knowhow to Napoli's game in Europe. Now, they are going to have to produce a faultless performance to oust the Premier League side. 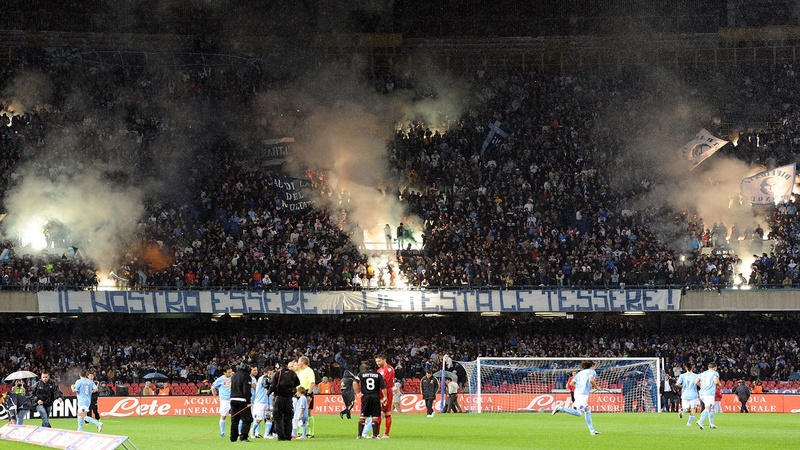 That the San Paolo will conjure an environment fit for the sharp end of the Champions League, never mind the Europa League, is a given. The only question is which of the two teams will manage to deal with it better.